Nickerbacher the dragon dreams of being a stand-up comedian. The problem is that everybody knows dragons aren't comedians...their job is to protect princesses from princes. What will Nickerbacher do? Nickerbacher's job is to protect Princess Gwendolyn from any and all princes who may come her way. She lives in a tall tower, and spends each day talking with the dragon. Over time, they become good friends and share their dreams and hopes with each other. Nickerbacher's dream is to appear on "The Late Knight Show" as a comedian. The problem is (actually there are several problems) that the show films in La La Land, a place far away from the tower. Then there's the dragon's father who doesn't want to hear anything about comedy - dragons simply do not do comedy. Nickerbacher is not happy and Gwendolyn wants to help. One day a prince comes along to try and save the princess from the dangerous, nasty dragon. Boy is that prince in for a surprise! The prince quickly learns that Nickerbacher is not scary, and that he has a big dream and the princess would like the prince's help to get Nickerbacher to La La Land. It looks like the three friends are going on a trip! The friends do make it to La La Land and Nickerbacher manages to get an audition for "The Late Knight Show." But when the audition doesn't go quite as planned, and his parents show up, Nickerbacher is afraid that his dream may not come true. Will his friends be able to help him achieve his dream? 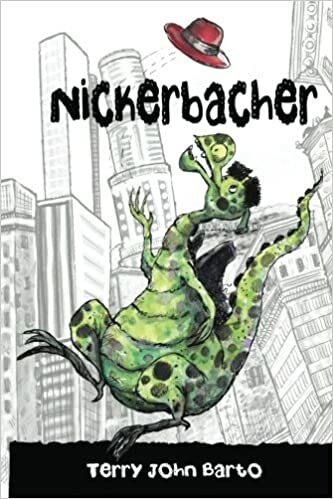 This is author Terry John Barto's third children's book, and the second about the lovable dragon Nickerbacher. He has definitely found a niche that kids love - fun-loving dragons who reach for the stars. Nickerbacher tells lots of jokes; some good, some so bad they're funny, that will keep kids laughing. He has a problem that youngsters will be able to identify with - a parent who doesn't approve of his dream - that will keep them reading to see what happens. The story is light-hearted and funny throughout, and there are lots of black and white drawings to accompany the story. These drawings are reminiscent of a comic book style of drawing that adds a whole new level of fun to the story. Nickerbacher is simply a wonderful story for young readers. 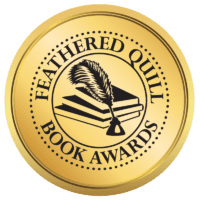 Quill says: A delightful story about a dragon, a princess, a prince, and reaching for your dreams.